Safety concerns persist as federal regulators continue to discipline air traffic controllers for dozing off on the job. Since March, at least five air traffic controllers have been caught napping while monitoring overnight flights. With all the recent media coverage, you might think this is a new national emergency - it’s not. Midnight-shift air traffic controllers have always had a grueling schedule and a hard to sustain lifestyle. The public is only now taking notice. The reality is that this problem has gone ignored and unreported for far too long. According to an AP report it once was an open secret in the FAA that overnight air traffic controllers would sometimes sleep on the job. Sometimes it was accidental, other times controllers arranged unsanctioned naps with another colleague briefly covering their job duties. The FAA and National Air Traffic Controllers Association working group recommends letting controllers take naps for as long as two-and-a-half hours. The group also recommended that controllers be allowed to nap during paid breaks, based on sleep research from the NASA, the Air Force and others. Other nations such as Germany and Japan allow for air traffic controllers to take nap breaks. Transportation Secretary Ray LaHood outright rejected those recommendations. “On my watch, controllers will not be paid to take naps. We’re not going to allow that,“ LaHood said Sunday. Instead, the Federal Aviation Administration is taking a disciplinary approach by enforcing longstanding FAA rules. Under the rules, controllers are not allowed to sleep on the job - even on breaks. Violating these rules could lead to dismissal. Managers will be required to report to work slightly earlier or stay at work later to remind overnight controllers that they can’t fall asleep on the job. Most of the controllers will remain alone, unsupervised during the early morning hours. A few changes announced by the FAA may make a small difference. The agency ordered that 27 airports add a second midnight-shift controller. The FAA is also requiring controllers take at least nine hours off between shifts, rather than the current eight hours. The infamous “rattler” schedule –with a morning shift followed by a midnight shift - remains possible. 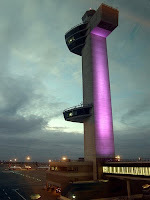 With unsustainable floating shift schedules allowed and sanctioned naps still unacceptable the FAA is unlikely to notice much of an improvement in air traffic control towers across the U.S.